Copier 7″ Mini unit with 3 SATA ports, and 4 USB3.0 ports – Extreme fast hard disk drive duplication and cloning unit. 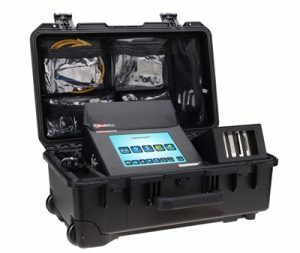 A prefect tool for IT tech to have in his toolbox. The unit is compact and lightweight, built-in with 7″ Touchscreen LCD colour display, 1Gigabit Ethernet port, 3 SATA ports with lock and secure power connection to the hard disk drives, and with 4 USB3.0 ports. 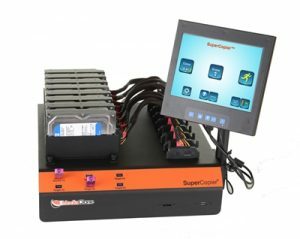 Copier IT 8″ Field SAS/SATA hard drive duplication unit – Extreme fast duplication, cloning unit and erase unit. A perfect tool for IT tech to have in his toolbox. The unit is compact, built-in with 8″ Touchscreen LCD colour display, 1Gigabit Ethernet port, 4 SAS ports with lock and secure power connection to the hard disk drives, and with 8 USB3.0 ports. 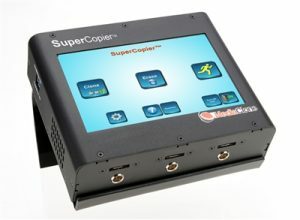 The Copier application can clone 2:2 SAS hard disk drives and up to 4:4 USB3.0 storage devices all in parallel operations. The application can image a drive in 100% bit by bit copy (Mirror Image), Quick Copy(Clone and Deploy files only). Also, the user can select to run Drive Diagnostics tests in parallel multi-session operations. The Portable HDD Duplicator is a portable Hard Disk Drive Duplicator with the combination of lightweight, slim and compact design. 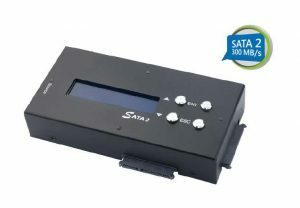 Easy to carry around, Portable HDD Duplicator simply allows you to work with more flexibility! 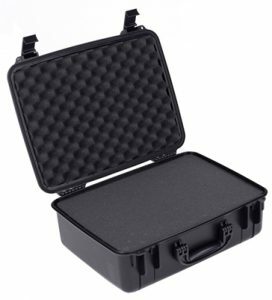 Optional carry case for field units.